First of all – Happy New Year! Ready to start the new year with some healthy habits?! Are you a caffeine junkie, but hate the spikes in energy? This pistachio matcha milk is for you! The thing with coffee is that there is the quick burst as you’re drinking your cup and shortly thereafter, followed by the 2 or 3pm crash, right? That’s how it was for me at least, so I cut coffee out and started drinking matcha beverages instead. I have cut coffee out, added it back in, and taken it back out a few times now. Currently, I am not drinking coffee, but I do love it. I love the taste, the smell, the warm beverage in my hand. It’s a ritualistic thing, and I suspect at some point I will drink coffee again. However, I started playing with matcha, and I created this pistachio matcha milk that can be a hot or cold beverage. Matcha is a powdered Japanese green tea, made from the whole leaf. It is unique because while it has the same amount of caffeine as other green teas, it also has an amino acid which helps to stabilize the caffeine, making it a slow-burning process without the afternoon crash. 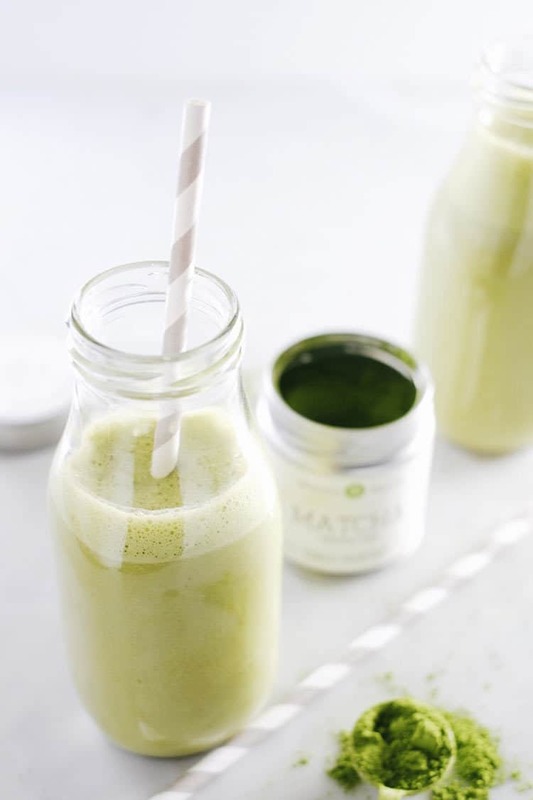 Matcha is also rich in antioxidants, which are known to promote heart and skin health. 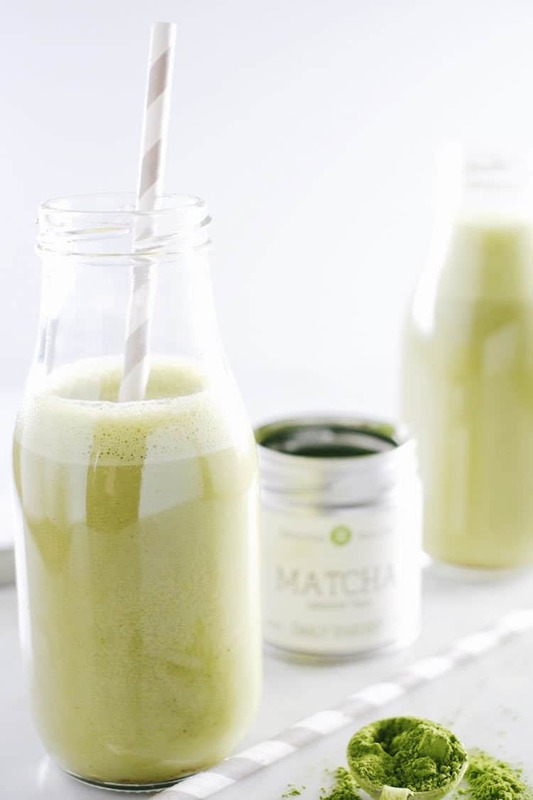 Another potential benefit is that the high concentration of antioxidants in matcha can aid in weight loss. This post from Wellness Mama explains these benefits and others. Matcha has a unique flavor, and if I’m honest I will say that the first time I drank it I wondered why people would do such a thing. It is kind of like beets to me. At first they tasted like dirt, and I had no idea why people would want to eat dirt. Then, I tried them again, and I noticed some of their sweeter notes, the texture, and I came to appreciate beets. Same thing applies for matcha. It was a little too earthy at first, but then I drank it again and found some nutty tasting notes, and then some slightly sweet hints. Before I knew it, I was craving matcha. Based on a recommendation from a friend who loves teas, and especially matcha, I tried this brand. It is great for everyday drinking, and more mild and smooth tasting. This pistachio matcha milk can be enjoyed hot or cold. Over the summer time it was a nice cool morning beverage great for kickstarting the day or just before a workout. It is also great hot as the temperatures have been quite chilly! It is so cozy and warming. 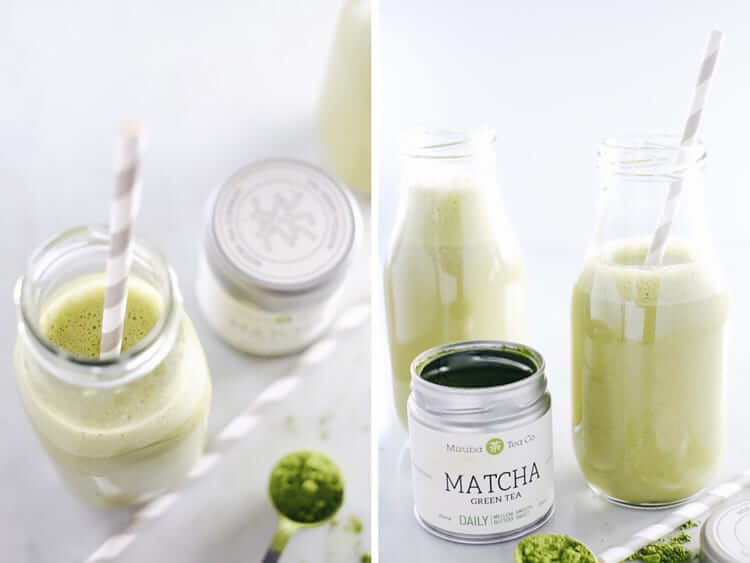 If you haven’t yet tried matcha, give it a whirl with our pistachio matcha milk! 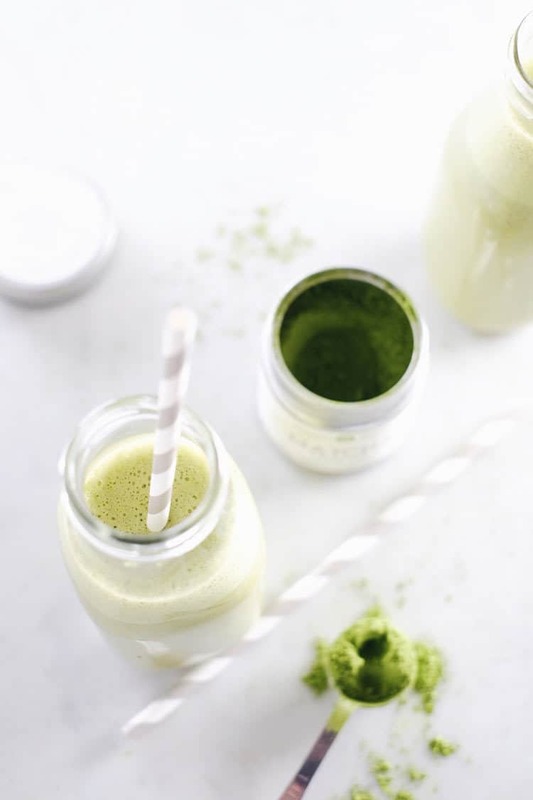 If you’re already in love with matcha, blend one of these up and enjoy the aromatic, silky smooth drink! Let us know how it goes by leaving a comment below. Then, take a photo and tag us on Instagram @realsimplegood, so we can see! *Note: you will have extra pistachio milk. Start by making your pistachio milk if it is not already prepared. 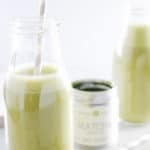 Place all of the pistachio milk ingredients in a high powered blender, and blend until smooth and creamy. Use a nut milk bag or mesh strainer to strain the pistachio milk and store in an airtight container in the fridge. If you are making a hot beverage, heat your pistachio milk on the stove over medium heat, or in the microwave to desired temp. 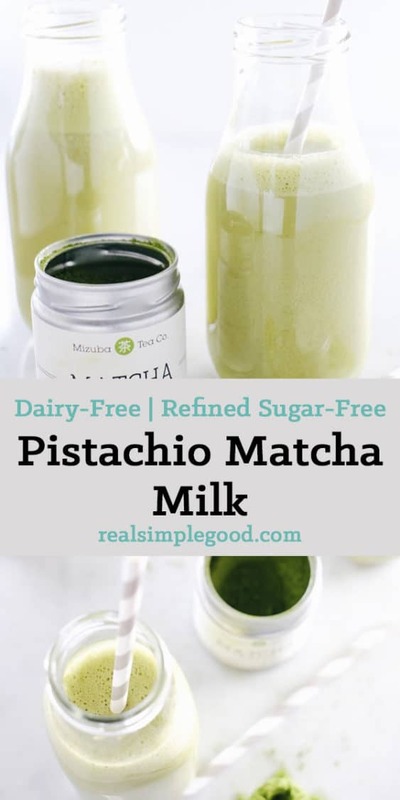 Place all of the pistachio matcha milk ingredients in a high powered blender, and blend until smooth and creamy. The blender will create a little froth on the top! Enjoy! Can this brand be purchased in stores?